I love a good bag charm. Here are some that I have my eye on. purses for that price. It's so cute tho!! it dresses it up a bit and makes it my own. How do you dress up your purses?? Oh my goodness that LV on is ridiculously priced!!! So cute though! I saw that Target has some really cute pom pom ones that have rhinestone bows and stuff on them. I considered getting on to put on my diaper bag since it is plain black leather. first thing i thought was that LV one is SO you. 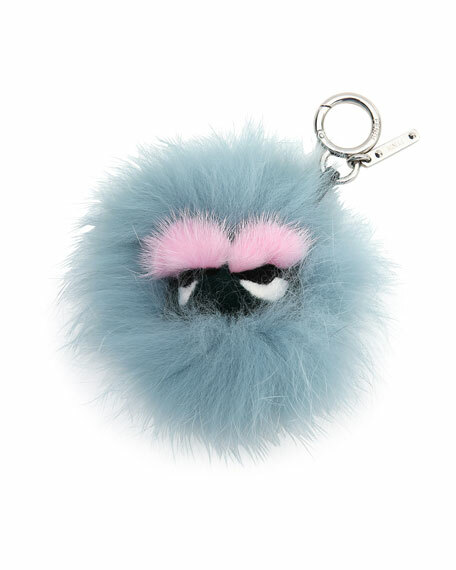 expensive poms stress me out though - bc you're right - often you can buy a bag for that price! that gingerbread man is too cute! Oh my goodness... how cute are ALL of these!!! I cant even pick a favorite. THAT UGG CHARM!! I DIE!!!!! Love the LV one as well!! The gingerbread one is so fun for the holidays! Oh Marie! I am so in love with these, as a lover of all things miniature, I am just dying over here. 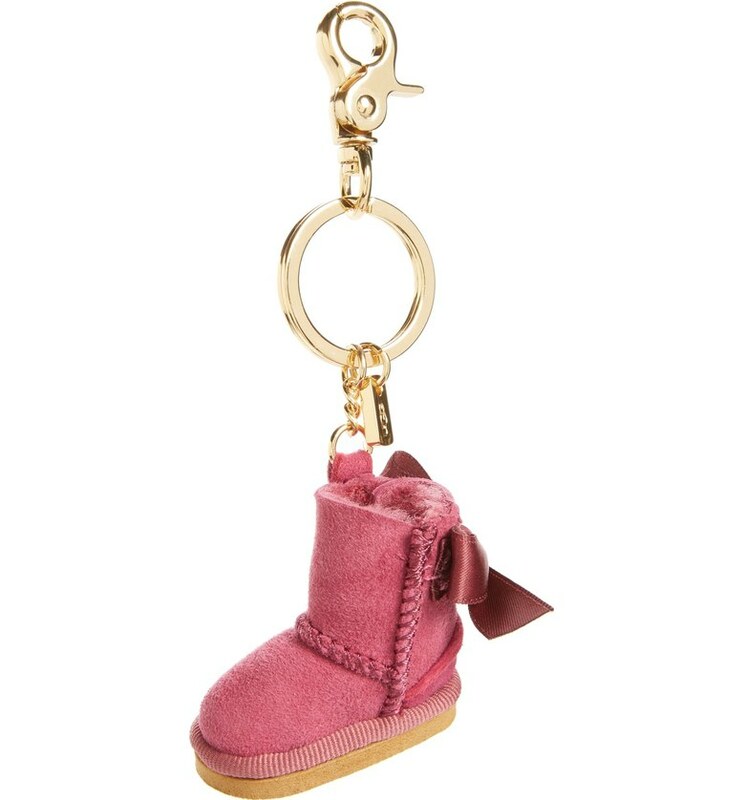 We got my niece a little UGG keychain a couple years ago for Christmas but this is even more adorable! I think I better put that on my Christmas list don't you think? Ha ha I hope your day is as beautiful as you are sweetheart! 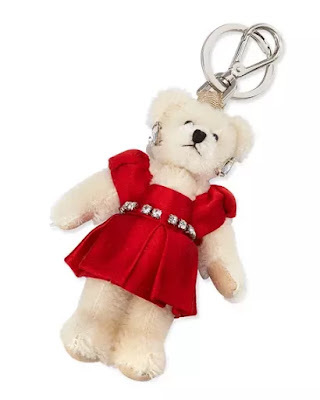 I had no idea bag charms were a "thing!" I actually just got one from Nordstrom Rack that has USB, HDMI and Mac cables in it because I work in IT now and always have issues projecting in meetings and stuff due to incompatible connectors, so now I bring my own. It's worked really well so far! Love the Anya Hindmarch one here! That boot charm is so adorable! I think that I need it! 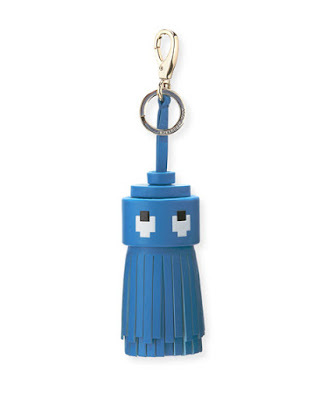 I don't have any bag charms, but I'm pretty sure I need one now lol. These are adorable! So many cute bag charms, I can't pick one! The UGG boot one is adorable (and it's pink!) but I love the little gingerbread cookie, too! 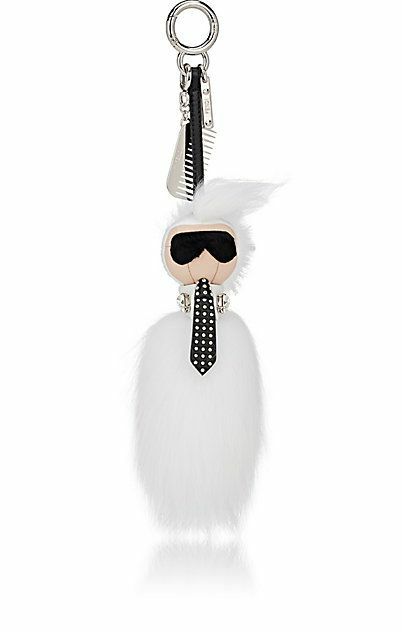 What a fun way to dress up your purse. 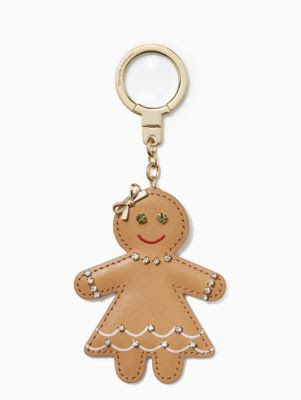 That Kate Spade gingerbread!!! So cute! 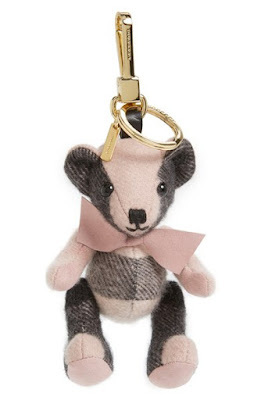 I don't think I've actually ever used a bag charm but they have some super cute ones that I would definitely use! Those are so adorable! I love the gingerbread! 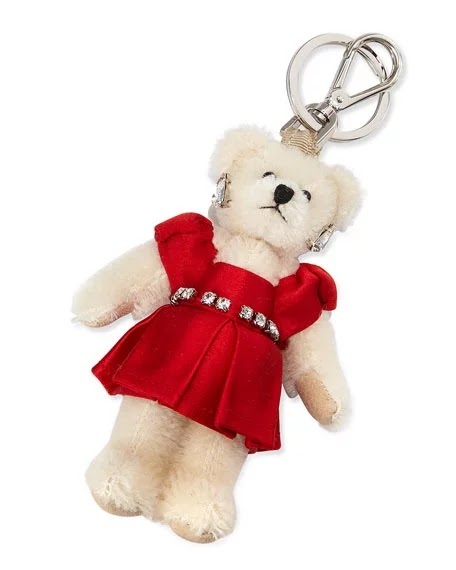 I just bought my first bag charm today. I've been eyeing those cute fuzzy ones and Target has them for $3....the Louis Vitton one is gorgeous but not sure I'd pay that price for even a purse. These are so cute. I love the Ugg. 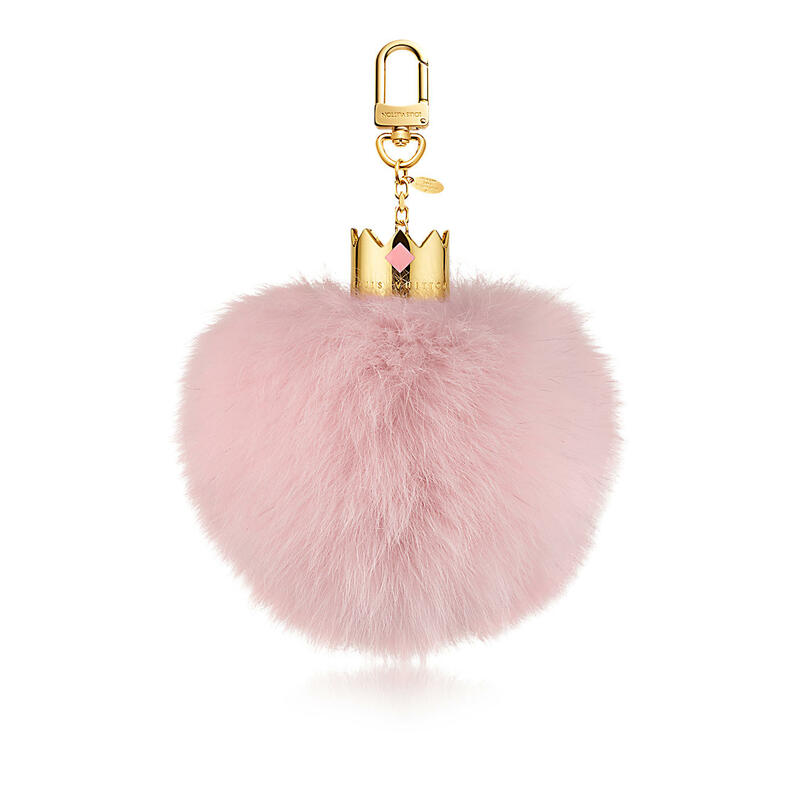 My sister has one of those pom poms and it looks so fun on her bag! Those are so stinkin' cute! These are darling! I need the lil' Ugg boot and that LV one is gorgeous! But I hear ya, wayyyy too expensive! oh my gosh the first one is so adorable! want it! the LV is so pretty but i clicked on the link and holy moly ridiculous price. that is literally more than my mortgage.